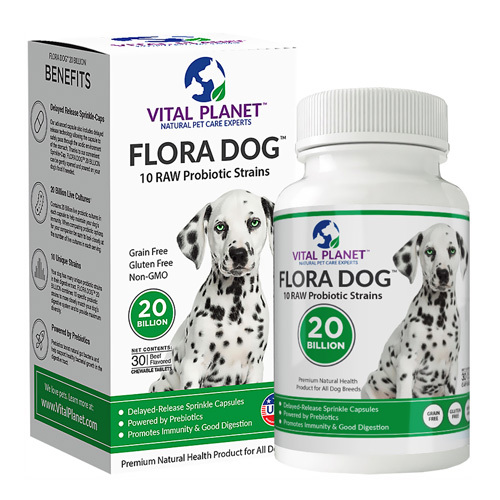 LIVING NUTRIENT BLEND Adding critical, living nutrients to your dog’s food each day. No more dead food. Think your dog’s food contains all they need? Think again. Did you know that most dog food is dead? It is. And most canned dog food is just as dead. 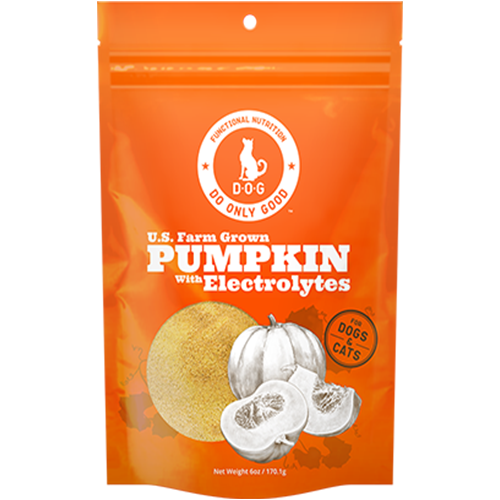 Now you can add living nutrients to your dog’s food. 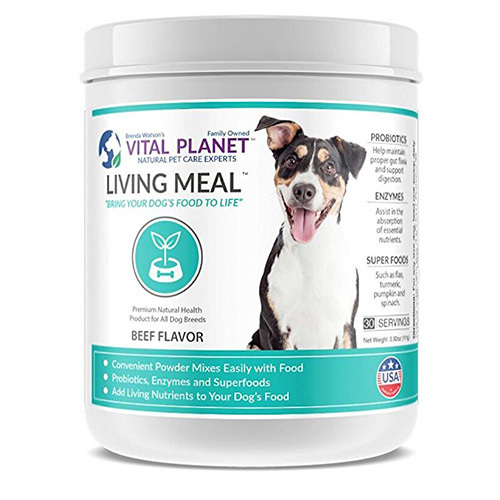 LIVING MEAL™ is specially formulated for dogs to provide raw, live probiotics combined with enzymes and a unique, organic superfood blend. Bring your dog’s food to life every day! 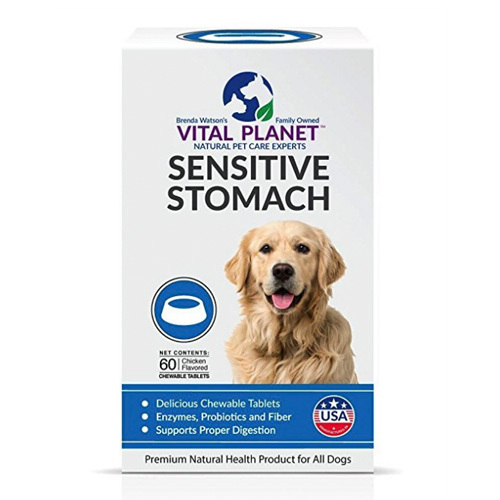 CONVENIENT POWDER: Our convenient powder is easy to sprinkle on your dog’s food. With a simple scoop, you can add live probiotics, enzymes and a special blend of superfoods to Bring Your Dog’s Food to Life! 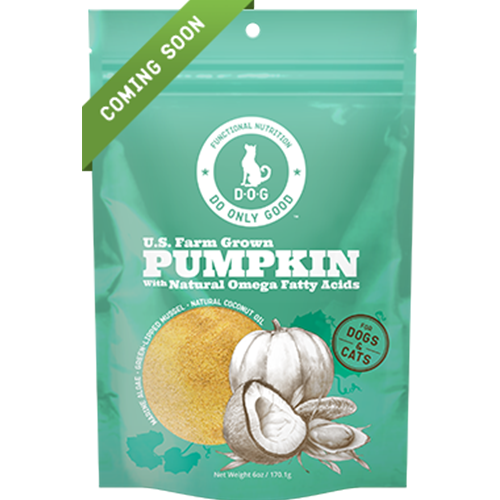 ORGANIC SUPERFOOD BLEND: Our organic superfood blend includes flax, alfalfa, carrot, pumpkin, turmeric, blueberry and spinach. BENEFICIAL ENZYMES: Helping to break down food and assist in the absorption of essential nutrients, our enzymes support a healthy and natural balance in the gut. 5 BILLION LIVE CULTURES: With 5 billion live probiotic cultures in each scoop, our blend of living, raw probiotics help maintain proper gut flora and support the protective layers of the bowel.